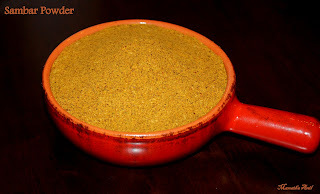 asafoetida. Let them cool down. 3. Use this powder in making sambar or any sabzi/palya.